A Thought: St. Patrick’s Day, as a kid, always meant to wear green that day or get pinched! As a Christian, it is a reminder to be in mission for charitable works in the name of Christ. 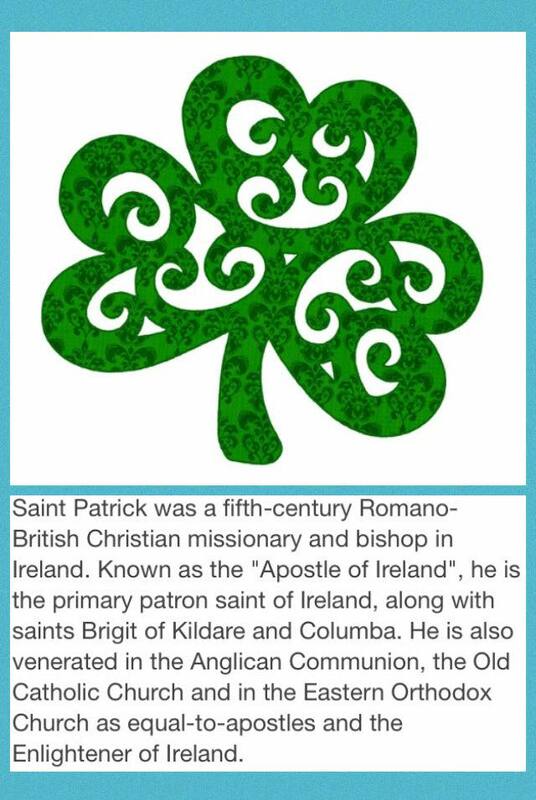 As an apostle, which means ‘messenger,’ St. Patrick reminds us to be a messenger of goodwill & peace. So today you may be wearing green, indulging in some ‘cheer,’ or some other St. Patty’s Day practice, but we can also honor the saint by doing a charitable act today of witness/ send a message for Christ!